U-shaped container crane is widely used in glass workshop, railway stations, docks, ocean freight and other glass containers lifted place. The clever use of mechanical devices gravity balance principle, easily lifting 20 ft Cape cabinet, high cabinet size plate glass. 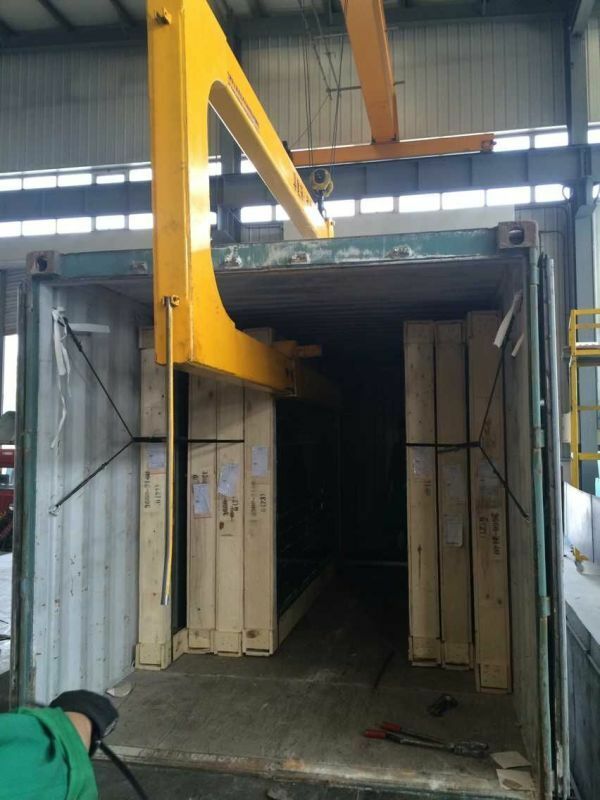 Lifting hanging wooden board with a frequency quenching process, safe and reliable, no longer need to wire rope lifting (for small gap between two wooden problems, this device uses subtle design for easy loading and unloading).Container U-Shape Suspension arm,U-shaped container crane,U Liftng Arm,U Shape Glass Lifting Arm,U Shape Glass Lifting Crane,U Shape Container Lifting Arms,U Shape Container Container Crane.But do not need artificial crane or invest more than 200,000 yuan and other large-tonnage trucks mixing operations. 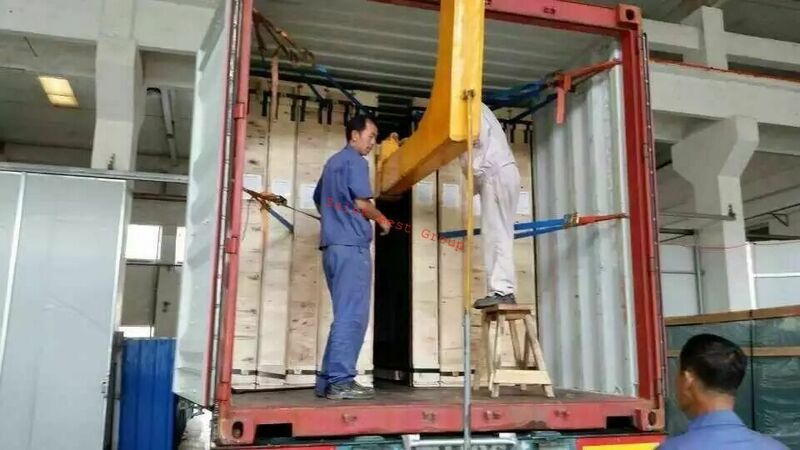 This device may not cause breakage of the glass, without damaging the container body, lower handling costs, safety and reliability, make full use of the advantages it can bring traffic venues. 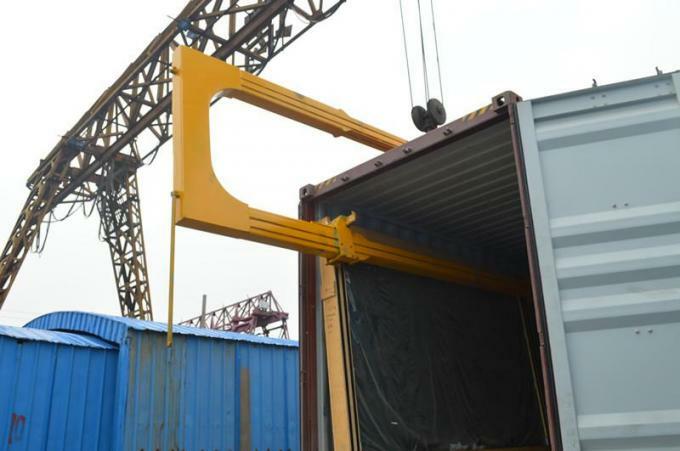 Container U-Shape Suspension arm is widely used in the glass factory workshop, station, wharf and places where ocean freight containers need to be lifted. 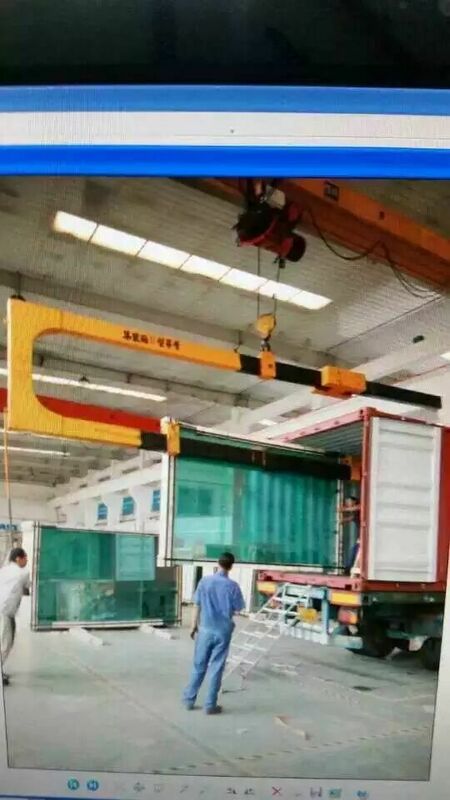 This equipment ingeniously uses mechanical balance principle and is able to lift 20-foot glass whose size is similar to the standard and high cube container. There is no need for manual coordination or forklift truck. Also, it can make no damage to glass and container making it safe and reliable to use. 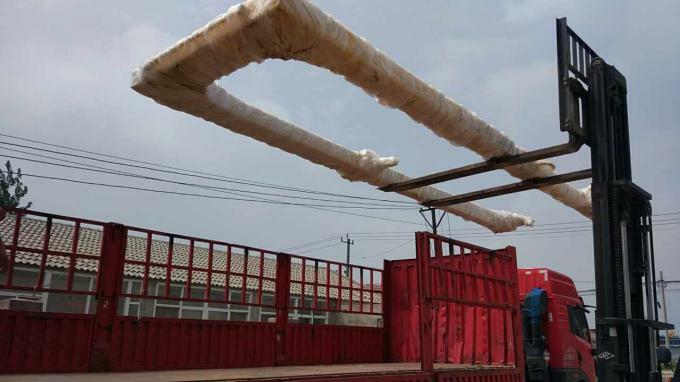 The arm makes the cost lower, economically uses the field and exploits the driving advantages.U Shape Container Lifting Arms,U Shape Container Container Crane,U Shape Container Container Lifting Crane,Glass U Shape Conatiner Loader,U Shape Conatiner Loader,Glass U Shape Conatiner Loading Machine,U Shape Conatiner Loading Machine. Why choose Saint Best products?? 1.Saint Best product is widely used in almost all the materials which you can think of. 2.Saint Best machine with high precision and high reputation is the most reliable goods you can choose. 3.Saint Best Group has all kinds machines in store, the delivery time is much shorter than other companies. 4.Guarantee the complete machine for 12 months, except the consumable parts. 5.Saint Best Group has international tech service office and provides 24 hours online service and tech support for customers. SAINT BEST produce high quality machines, also pay attention to package. Wooden case, pallet, and special package to make sure customer will receive the machines they ordered intact. 2.Question: How about the service ? 5).fluent english ,communication barrier free. 1).Our guarantee for 18 months. 6).24 hours on line service each day, free technical support. 5.Question:if our price is higher than another company or factories ? please check, what is is the different of the machine parts ,service and guarantee,especially the machine inner electric parts, sometimes, if machines have breakdown, the most reason is the machine inner electric parts problem, but we use the famous and reliable parts for the machines inside. 6.Question:How long is the delivery time ? For standard machines, it would be 3-15 days; For non-standard machines and customized machines according to clients specific requirements, it would be 15 to 30 days. 7.Question: What is the payment ? Any payment method you want,such as T/T West-union and so on.